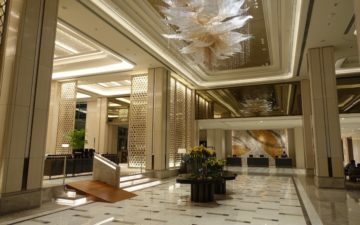 Much like Hyatt’s “Big Welcome Back” promotion, Goldpoints Plus is offering one free night after every two stays, with a limit of seven free nights (register here). Stays between June 1 and August 31 qualify, and the free nights can be redeemed between July 15 and February 28, 2011. So yeah, you have nine months to redeem free nights, which is awesome. Now admittedly there aren’t as many super high end Radisson hotels (let alone Country Inns) as there are Grand Hyatt and Park Hyatt properties, but I’m sure there are some cases where this promotion can be very profitable. So flying isn’t *always* relaxing…. Thanks for this lucky. I never bother to keep up with Goldpoints promos but have 2 stays at Radissons on my trip to Europe next month – so that will now earn me a free night! Thanks for posting this one Lucky.